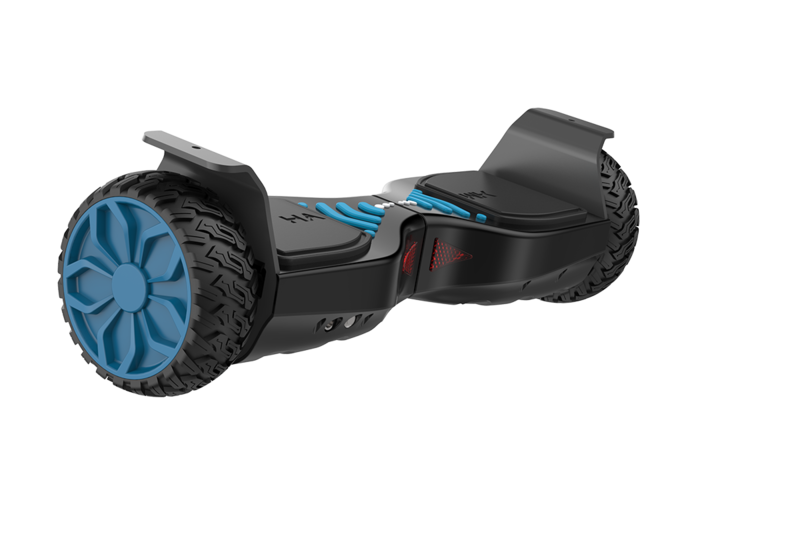 The IOHAWK Cross Mini is the "little brother" of the IOHAWK Cross. 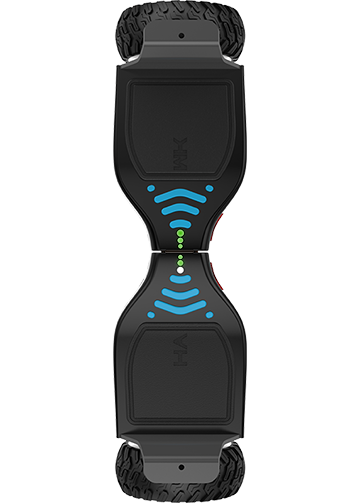 Small but does not necessarily mean lower performance, because the IOHAWK Cross Mini has the same functions as the large IOHAWK Cross. We call this: "Small but powerful". 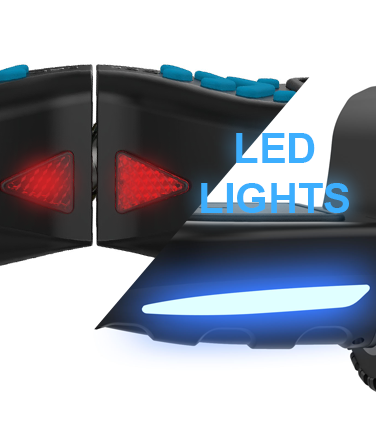 The new IO HAWK Cross Mini weighs only 11 kg and weighs only 4 kg less than the IOHAWK Cross and is therefore perfect for all younger fans of IOHAWK or for those who do not want to wear so hard. 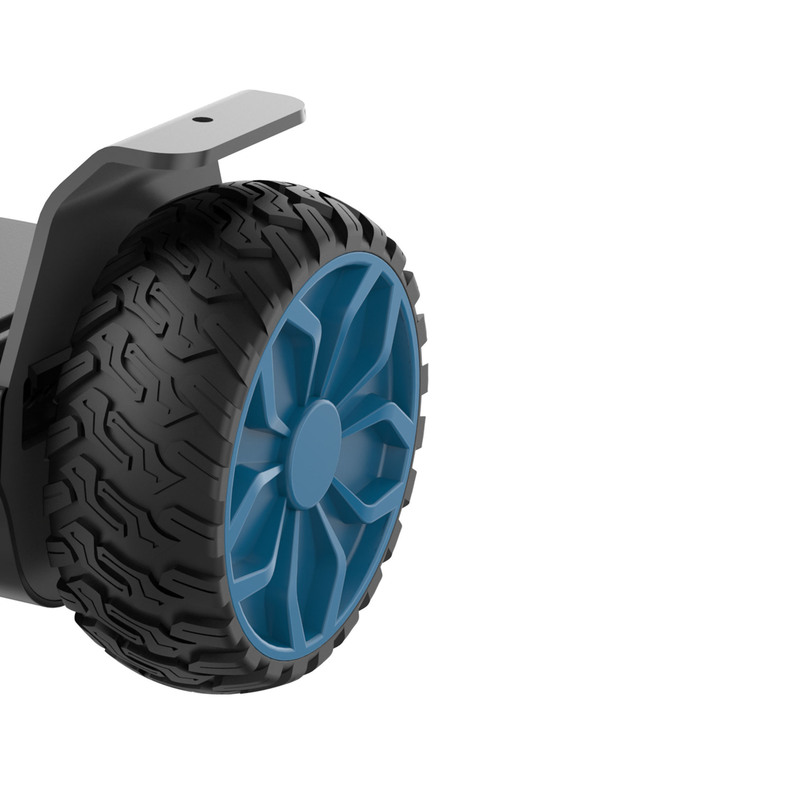 The profile of the Cross Mini allows you to drive in places (such as uneven surfaces), which were not passable with our first IO Hawk. Our battery and our devices are UL certified. The battery charging time is 2-3 hours. We mount long life lithium-ion batteries. Thanks to UL 2272 certification, one of the safest hoverboards in the world, as the entire system is certified and tested. 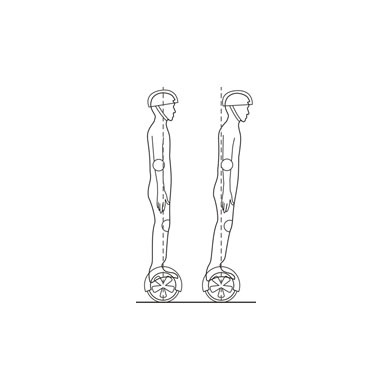 The new Autobalance feature allows you to easily climb up and down on a device. 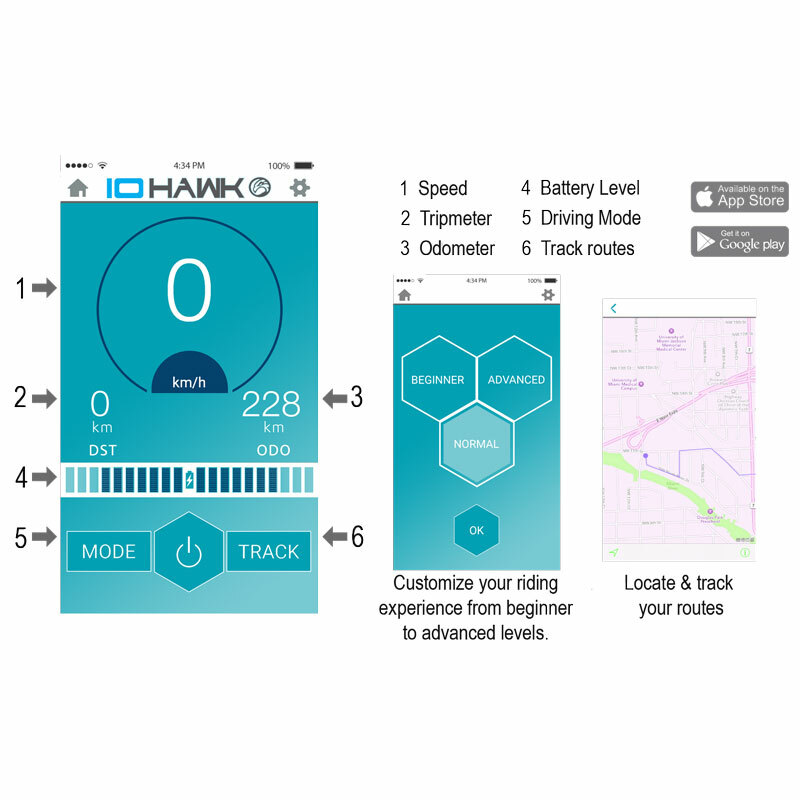 The IO Hawk APP for IOS and ANDROID allows you to control your IO Hawk Cross Mini combined with many additional features. 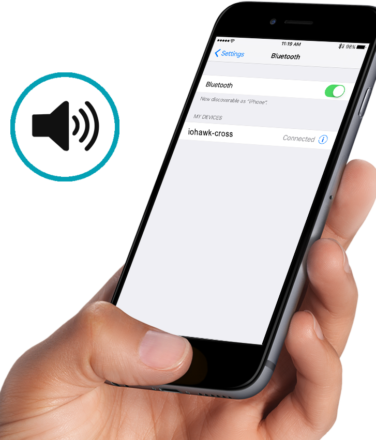 Of course you can also switch your IO Hawk Cross Mini on and off via the app. 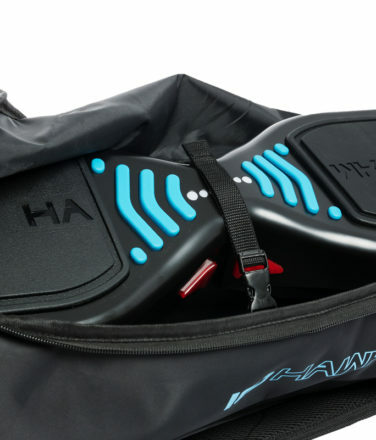 For the IO HAWK CROSS MINI you can purchase the IOHAWK bag as an option. 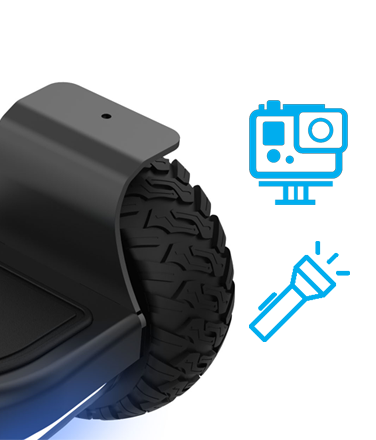 With the IOHAWK trolley you have the possibility to easily transport your IOHAWK Cross Mini, eg in places where you can not drive. The 6.5 inch bag has rolls and additionally you can wear it as a backpack. Extra large and wide tires with a low profile allow driving on unpaved ground. 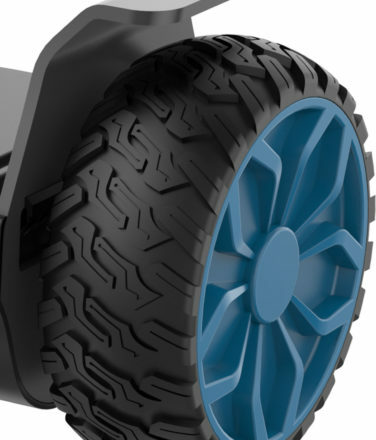 The tires have a size of 6.5 inch / 16.5cm and are non-pneumatic (not filled with air) and allow you to drive in places that were not navigable with our first IO Hawk. Connect your Smartphone wirelessly with the IO Hawk Cross Mini and enjoy your music on the go! The IO Hawk Cross Mini has a splash-proof loudspeaker on the underside, which allows you to listen to your favorite music while driving! 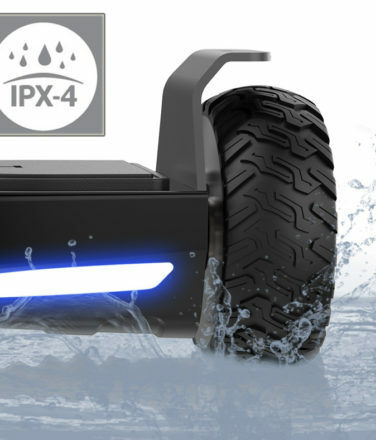 The IO Hawk Cross Mini is protected against all-round splash water by the IPX-4 standard. So you can also resist a short rain shower. The IO Hawk APP for IOS and ANDROID allows you to control your IO Hawk Cross Mini. 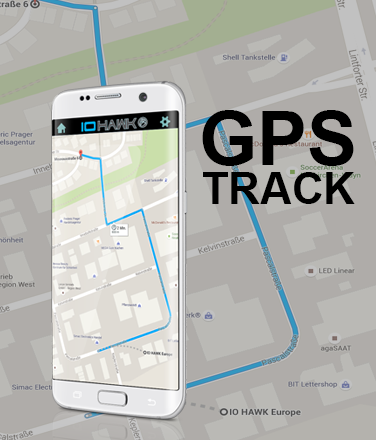 The IO Hawk APP for IOS and ANDROID allows you to record the routes of your IO Hawk Cross. 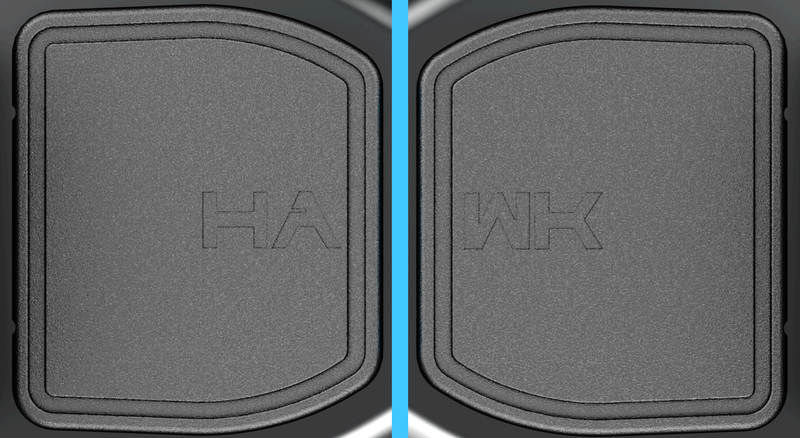 The IO Hawk Cross is equipped with 2 mudguards made of aluminum. 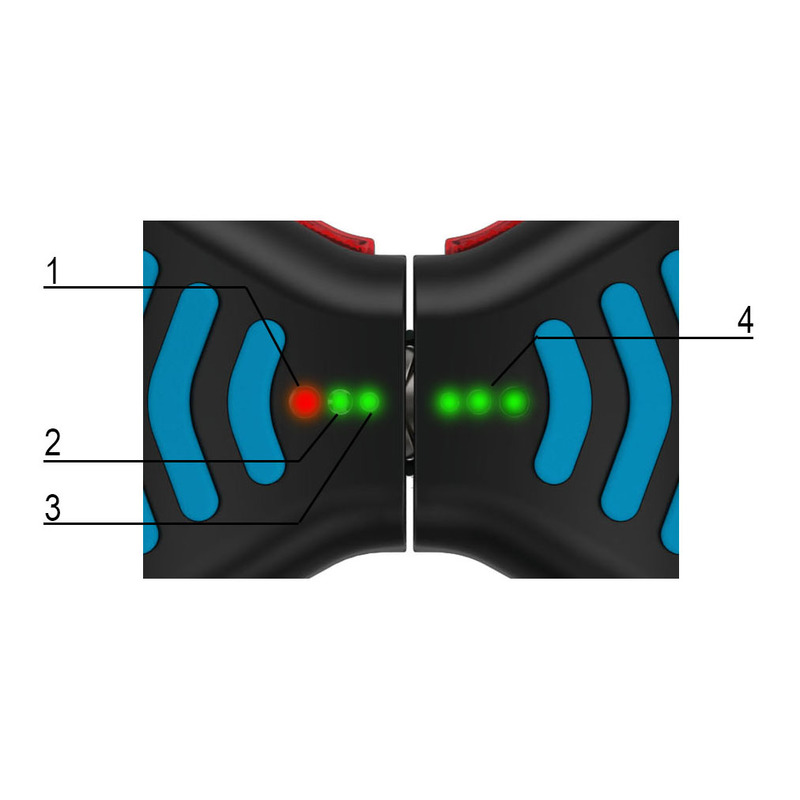 These have holding devices for your action cam, additional light or a license plate holder. 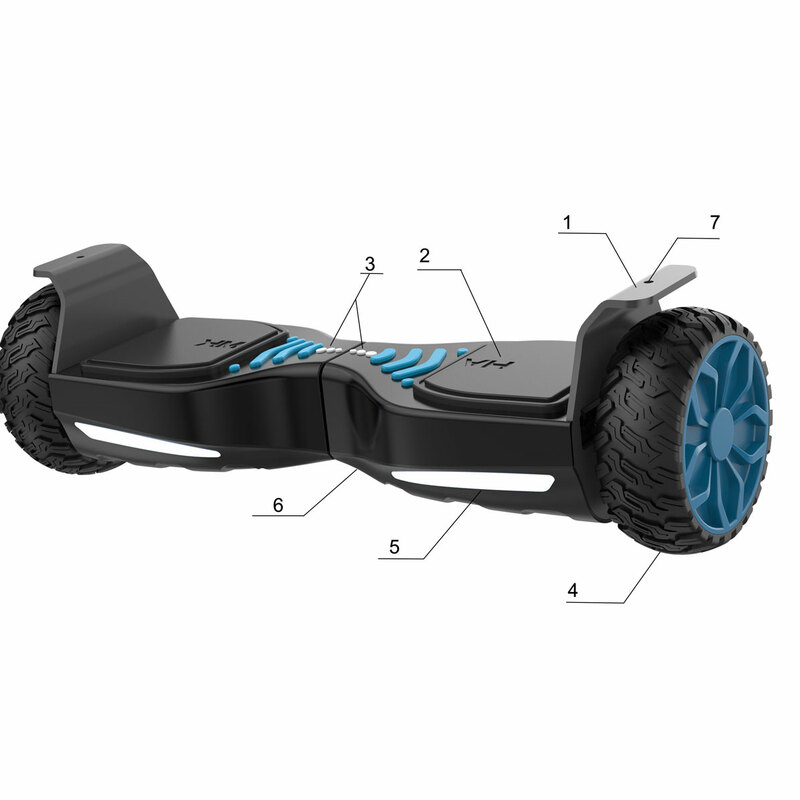 The IO HAWK Cross Mini is equipped with profile tires that allow you to ride on unpaved ground. 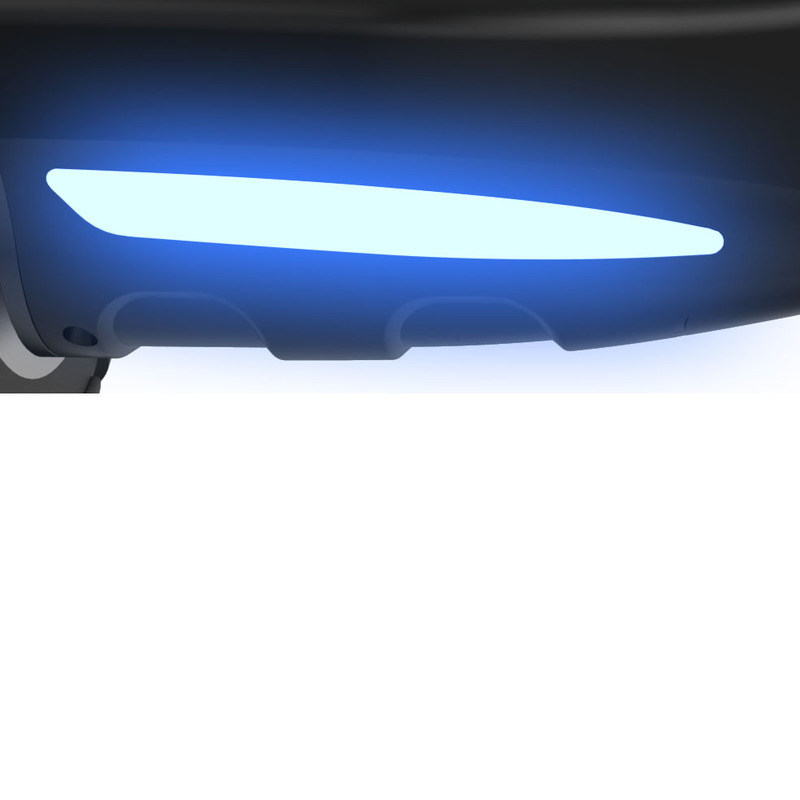 The mudguards made of solid aluminum have a holding device for attachments like an ActionCam. 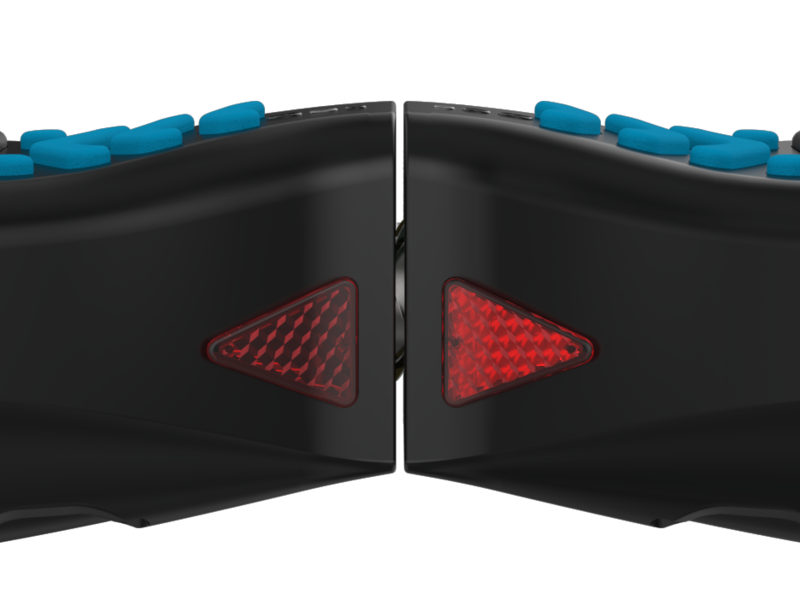 The IO HAWK Cross has red backlights. When driving curves, the corresponding arrow-shaped back lamp indicates the direction. With your own app for Apple & Android, you can choose the desired speed mode, watch the speed live and track the distance traveled. 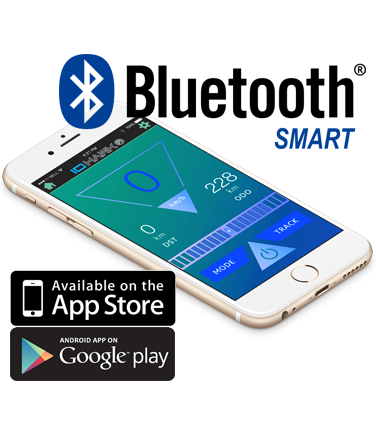 Via Bluetooth, you can stream your music. The IO HAWK Cross Mini is controlled by minimal weight changes. After only 3-5 minutes you can drive safely. After about 30 minutes without problems. We call it: driving almost by mind control. We give a two-year warranty on the IO Hawk Cross Mini. Test the IO Hawk Cross Mini and if you not satisfied, just send it back to us.